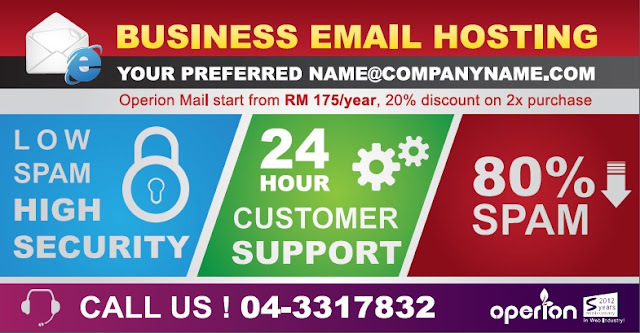 Reserve your company domain name for your email and website purpose. It can be use in the future..How? With your nice crafted signature to delivery a professional image to your customer/prospect/investors! Best control over your company employees email transaction. Your business is protected with anti-spam and anti-virus. More companies have outsourced their e-mail services to us as our services have proven reliable. We have earned the trust of over 50,000 e-mail users for processing over 400,000 e-mails daily on its mail servers.